Another rainy morning. Slowly but surely it gets annoying. Anyway, I leave early, as I want to be out of the valley before the rain gets stronger and worst case would prevent me from reaching the State Highway. The Mingha part of the Mingha-Deception Track is generally easier than the Deception part. It's a mostly well formed track, Goat Pass itself and numerous other sections are even fitted with boardwalks. A few scrambling parts are still present though, usually when the track descends down a gully to cross a side stream. 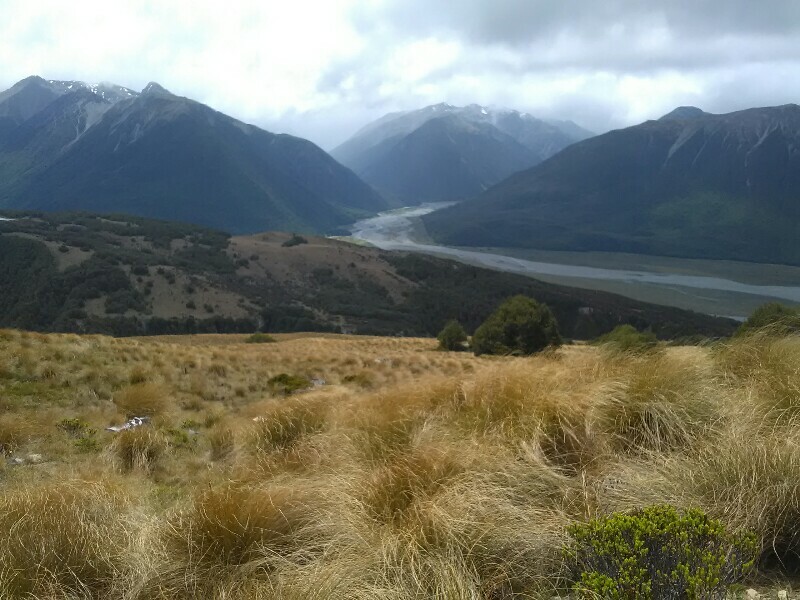 Despite the rain, which is getting less and less the longer I hike, the crossings are all straightforward. Also the last crossing of Bealey River is no big deal. I guess it's mainly due to the north-westerly wind: Most of the precipitation is probably on the Deception-side of the pass. From Aickens it took me a bit less than 12 hours to do the Mingha-Deception Track, so if leaving early it's definitely an option to do the whole thing in one day. It certainly was an interesting hike but all the rock hopping and scrambling was a bit to technical for my taste. Especially with the backpack. Without that load it would probably be a totally different story and I can fully understand why this track is so popular with runners. I'm bashing busy SH73 for the next 2 hours. On these road sections, I usually feel all my sore muscles and bones. Especially, after hiking through rough terrain for a longer period. Today however, everything seems perfectly fine. A good sign! 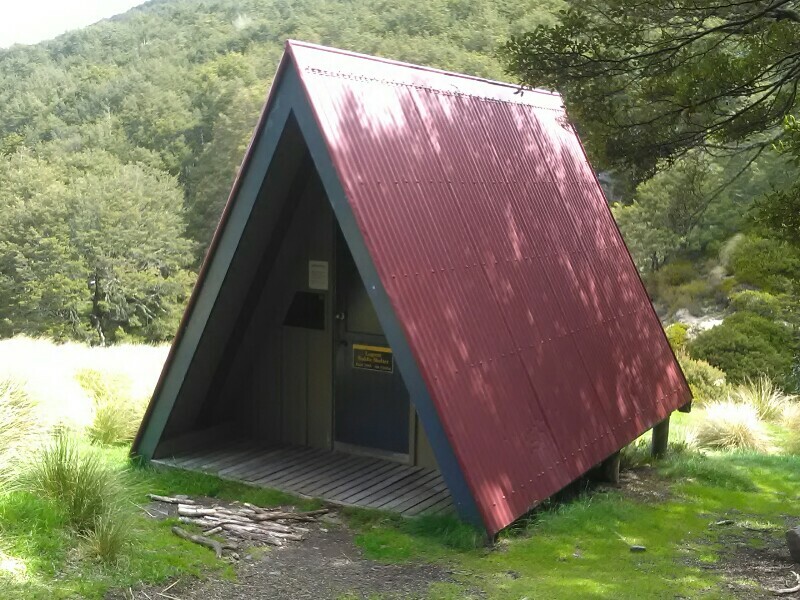 There are actually two huts at Lagoon Saddle. The "real" hut across the river and a shelter right by the track. Lazy as I am, I stay in the cute A-frame shelter. No mattresses, no stove. Just a roof. But that's all I need.